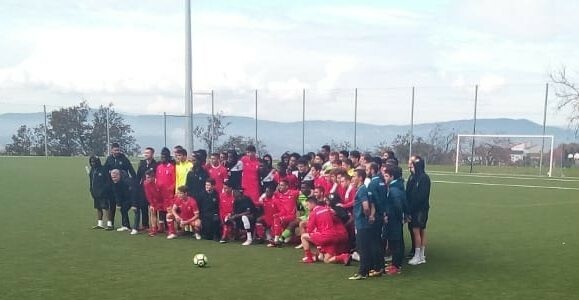 6 under-19 players, namely Jabari Howell, Tyreek Magee, Oquassa Chong, Casseam Priestley, Garth Stewart, and Tafari Chambers, departed the island to train in Barcelona, Spain on January 16th. 4 of them are returnees to the European academy, after last year’s stints in Portugal and Sweden. Following airport arrival, a bus awaited outside to transport them to the club hotel for room reservations and dinner then sleep. The next morning began with breakfast at 7:30-8:15am, followed by a gym session at 9 and a swimming pool session at a state-of-the-art Sports Complex (click to view video). They signed simple Lank FC and players’ waiver agreement and Code of Conduct behaviour commitment papers. Lunch at the Cafeteria from 12-1pm was quickly followed by player registration and orientation, particularly for the 6 newest arrivals from Jamaica, who received Lank FC-branded training gears and equipment to look uniformed. They were later driven off in Cambrilo Sports Resort mini- buses and coaches to the nearby Football Complex, comprising of 4 turf fields. 2 natural grass as well as 2 hybrids; a higher quality mixture of turf and natural grass fields. All of this is about 50 feet below a cafe, changing rooms, bathrooms, conference centres, sports bar and patio overlooking the view of the training sessions in progress. To the back are 4 more fields being constructed into the hillside. We watched other residents in camp play an international friendly tournament between France U17 females against England U17, as a third squad from Germany trained on another field. A Bahrain Cycle Team was conducting a training session somewhere else on the massive complex. Young U8 clubs arrived in the afternoon for training as parents dropped off kids and escorted them into the preferred fields where coaches met and prepared them. We returned for dinner after a 2-hour training was closed with a wide range of photos, drones and video motion filming by Axel, the associated videographer. The Romanian-born Spanish-based Coach, Claudio Stephan, who was in charge of operations this week would depart as 2 new UEFA “A” Licence Coaches come in tomorrow to take over. We went to have a conference in the hall as African Scout and former Senegal and Portugal club professional player, Tanou, shared his cast experiences with the budding young professional players in how to develop properly. Another in-depth filming session was held until midnight with all players, coaches, managers and staff sharing experiences on camera for editing and presentation next week for Lank FC. 2 last one-on-one interviews were the final episodes before all retire to bed for well deserved rest. 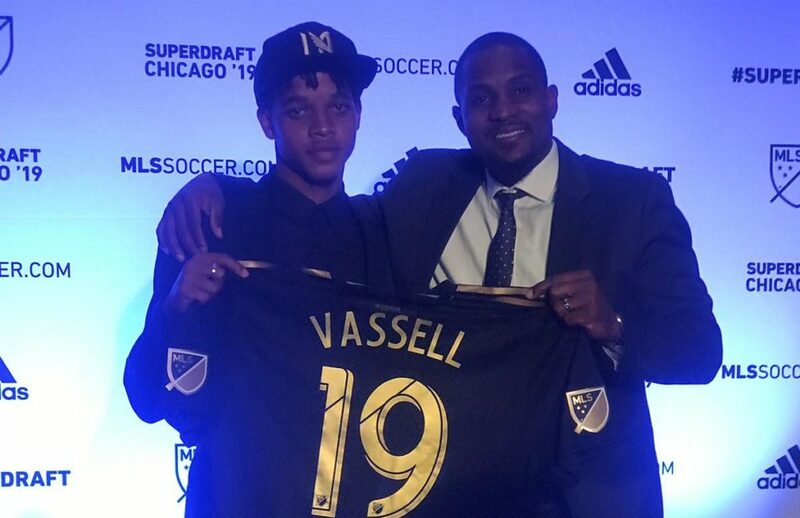 The first two rounds of the 2019 MLS Draft took place on Friday, January 11 in Chicago, and Los Angeles Football Club selected our midfielder Peter-Lee Vassell with the 40th overall pick (16th pick in the second round). Vassell, 19, is one of the few players who is not being selected out of college, as he has been playing professionally for Harbour View FC since 2017 after being scouted by former Head Coach, Ricardo ‘Bibi’ Gardner. According to the MLS Draft match stream, he will likely join LAFC on loan for the 2019 season. Vassell was selected as the VIP for the 2018 Caribbean Combine, and invited to the main MLS Combine last week. 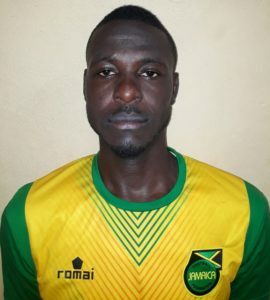 The former Cornwall College player is also a Jamaican international player, with 8 Reggae Boyz senior caps to date. Based on the MLS report, he’ll come in on loan. Congrats to Peter-Lee on behalf of Chairman Carvel Stewart and HVFC! Congratulations as well to the technical team that aided in his professional and personal development, especially Coach Ricardo Gardner, and FIFA Agent/former HVFC player Damani Ralph. We wish him the best of luck ! The newly-organised HVFC Technical Team has been named. 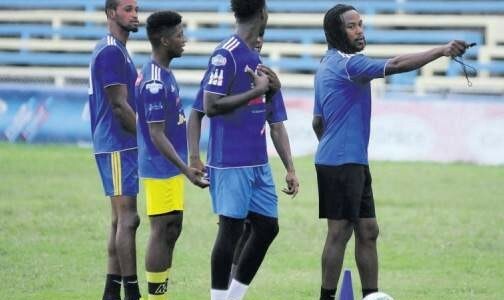 The team is led by Technical Director, Ludlow Bernard alongside Head Coach, Fabian “Kojie” Taylor, Assistant Coach, Damion “Stewpeas” Stewart, and Physical Trainer, Jason “Buju” Henry. They are complemented by the management unit of Team Manager, Oneil “Bigga” Smith, assisted by Shawnette Pike and Janeen Hague. 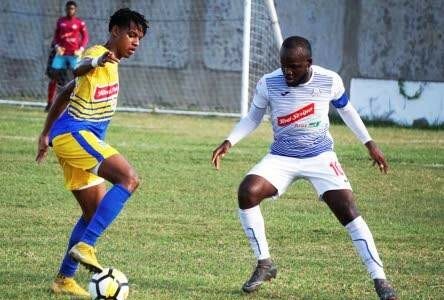 Assembled over the 2 weeks in mid-December 2018, they have been working together to reconstruct the squad to avoid relegation, develop a consistent level of creditable performances, and move as far as possible up the Red Stripe Premier League (RSPL) table by the end of Round 3, with some 15 games to go. Currently we are holding the 9th position on 19 points after 18 games. Elevated from Junior Technical Director to Senior Technical Director, Ludlow Bernard fills the position previously held by Vin Blaine who now oversees the Technical Programme in the island of Grenada. As the most experienced campaigner in the team, he coordinates the planning, execution and organization of the clubs technical direction, primarily in the RSPL. His success since the late 1970s is decorated with multiple achievements of championship youth teams, developing the most players to be national representatives, them gaining international club contracts globally while becoming world renown stars, in their own rights is unmatched by any other local coach. In the last few years he has broadened his network to win schoolboy titles at Wolmer’s Boys and Kingston College (KC) with Manning Cup, Walker Cups and a FLOW all-island trophy to match. In his third year as Assistant Coach, Fabian has been thrust into the role upon the departure of former Head Coach, Ricardo “Bibi” Gardner. He has taken on the responsibility to guide the ship away from difficult waters, into a safe path, find smooth sailing and land it at the best dock in the premiership race. A striker by definition, he will have to score regularly, leading more often than not, charting a course to win consistently in order to achieve his main goal of progressing the clubs position in the RSPL 2019 considerably. His early steps are encouraging; hit those shots Kojie. Always the rugid defender, he takes no prisoners on board. He has hit the ground running with a no-nonsense attitude to win now, do not hesitate, whomever is pushing forward hardest is a part of the squad. Limited Coaching experience but extremely well exposed to 12 years of international best club practices based in England and Malaysia. This is on the strong background of being Reggae Boyz Captain with some 54 caps and part of the HVFC Premier League and CFU Club Championship teams, he grew up in the winning tradition of the club from the youth stages. Defensive organization his strong point but also known for scoring a few important goals, when duty calls…the time is nigh Stewpeas, rise and shine. The 27 year old trainer is tasked with whipping the squad into the higher physical and mentally alert conditioning, his high tempo program is geared towards durability, at pace and improved intensity to win battles, individually and collectively as a team. Recently assigned to the historic Reggae Girlz FIFA World Cup-bound squad and the Reggae Girlz Under 17 and 20 units, he continues to exhibit promise. This in addition to partnering with Mr. Bernard at Kingston College to revive the tradition of winning back the Manning Cup after 32 years. Let the hot hand assist us to burn our way up the RSPL charts! All the best to the new team. Stay tuned to our website, newsletter, and social pages for announcements of the new squad in the January transfer window! Ricardo ‘Bibi’ Gardner has resigned as head coach of Harbour View Football Club, administrator Ludlow Bernard confirmed yesterday. 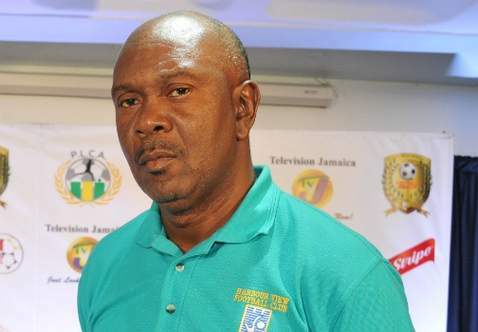 Gardner, a former national senior men’s football team captain, has been in charge of the club since last season, but the poor run of results in this season’s Red Stripe Premier League (RSPL) led to Gardner calling it quits on his first senior coaching stint. Bernard said it was a disappointment for him as the club was confident Gardner could turn the situation around. “The most I can tell you is that he tendered a resignation,” Bernard said. “Of course, it is a surprise, as we never expected it, based on how our club [is] run. Of course, we were willing to stick with him and see if he could turn it around. So I am extremely disappointed. I didn’t expect anything like this. 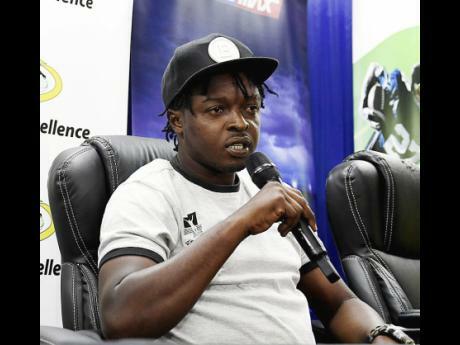 I was hoping he would have continued his growth and development in the game, but he chose otherwise,” Bernard told The Gleaner. Bernard said the ex-Bolton star will still remain a part of the club. But for the immediate future, Fabian Taylor will take charge of the team. “Fabian Taylor is responsible for the game on Wednesday. But we, as a body, will have to sit and talk. We cannot answer (whether Taylor is being considered permanently) as yet. These things happen, and we have to collectively discuss them, and deal with them, and that has not happened as yet, because all of this happened during the course of today,” he explained. Bernard, who led Kingston College to their first Manning Cup in 32 years, also declared that he will provide as much support as he can for the team, but he will not be involved in preparing the team for matches. “I still maintain my role within Harbour View Football Club. I provide support for whosoever is in charge. Right now, I have a bit more time on my hands, so I can provide even more support, but I will not be on the ground. But we have to turn it around,” he said. In 15 matches under Gardner this season, Harbour View have registered just two wins, while losing six and drawing seven. They currently sit at 11th in the 12 team standings with 13 points, tied with 10th-placed Reno and four points adrift of bottom-of-the-table Dunbeholden, on nine points. They have scored 13 goals and conceded 25. Last season the team finished sixth in the table, but lost 3-1 on aggregate in the quarter-finals to Waterhouse. Based on last season’s exploits, expectations were high this season, but did not materialise. “Sometimes in life, things happen, and we have to move on,” Bernard added. Former champions Harbour View have had a less-than-impressive start to the 2018-19 Red Stripe Premier League and have been stuck in the relegation zone for much of the 15 match days. Their performance against defending champions and leaders Portmore United on Sunday, however, told a different tale from what their league position suggests. The “Stars of the East” battled bravely, and a better scoring ratio to chance created may have seen them leave with all three points instead of one which would have taken them out of the cellar for the first time in a lengthy spell. Harbour View have drawn four out of their last five games and have slowly closed the game on the teams just above them, as they are now separated from 10th-place Reno FC by goal difference only. Both teams have 13 points from 15 games played, but while Reno have a goal difference of minus 9, Harbour View’s situation is even worse at minus 12. The former daCosta Cup winner believes the right elements are coming out in training, and are starting to show on match days. “I guess the guys are putting in some nice work in training and [they] come out match day and do the same thing. 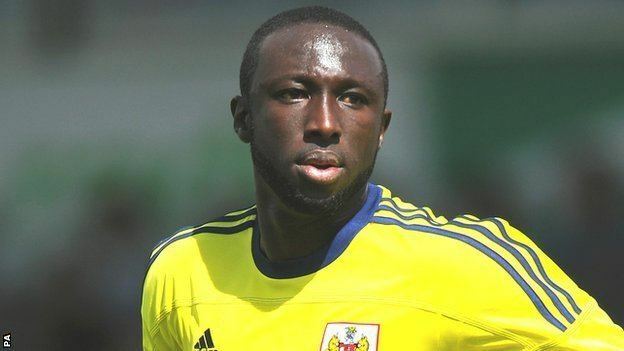 It’s just hard work and dedication and maintain the discipline,” said Vassell. Currently the standing does not make for good reading for his team but the national representative is very optimistic about the rest of the season, stressing that things will be okay come the business end. “Harbour View will make it into the top six,” he insisted. Ricardo Gardner has continued to look on the positive side of things and continues to show faith in his troops. “We just have to continue to work in front of the goal and continue to push these players that we have confidence in. We just have to work a little bit harder and keep pushing ourselves,” he opined. For the coach, his team’s current problem is easily defined. Gardner, who was pleased with some aspects of the team’s performance, is looking to build on what he saw on Sunday. “It’s still good to get one point from the game. There are a lot of positives to take away from today’s game — we put the ball down and we moved it a little quicker, especially in the second half,” said Gardner. While the performances have been better on the pitch, it is now time for Harbour View to start getting some wins if they are to achieve the main objective of making the play-offs, instead of battling relegation. Both Harbour View and Portmore United were guilty of misses in an entertaining game at Spanish Town Prison Oval, but the most glaring of all was the one by striker Shemar Nairne late in the game that certainly would have sealed all points for the visitors. Despite not winning the game and also remaining in 11th place in the 12-team league, attacking midfielder Peter Lee Vassell insists that his team will be able to climb out of their current predicament and make it into the top six by the end of the regular season. Vassell was the one who earned a point for his team, replying to a strike from Portmore’s Chavany Willis just eight minutes after his team had gone behind. The goal appeared to be a bit fortuitous though the player himself admitted as much. “It was just a cross and I so happened to get a goal from it,” he said when questioned about whether or not it was a deliberate attempt at goal.